State-owned railway giant Deutsche Bahn (DB) plans to sell off up to 45 percent of its logistics subsidiaries DB Schenker and DB Arriva (British railroad) respectively. DB’s Supervisory Board has authorized DB’s Executive Board to expand on a concept for implementing the decision by next fall. Reason for this step: DB’s precarious financial situation. In 2011, the Berlin government permitted companies operating coaches to deploy their vehicles on long-haul routes, thus competing with the ICE speed trains operated by Deutsche Bahn. Case in point, since then, the number of travelers who have decided in favor of coaches when going from Hamburg to Berlin or Munich to Cologne has been growing fast. Why, because coaches are much cheaper compared to ICE tickets, despite the fact that coaches often need twice the amount of time to cover remote distances. Obviously, a growing clientele is more price than time driven as can be seen by the exploding demand for bus travel. Secondly, Deutsche Bahn’s rail freight operator DB Cargo is suffering an extreme decline in sales and earnings for an increasing number of goods which are drifting from rail to road. The small trade union GDL (union of train drivers) added to the general hardships plaguing DB Cargo. Under the leadership of the uncompromising Claus Weselsky, the GDL initiated a long series of walkouts starting in September of 2014 and lasting until summer 2015, causing enormous financial damage and driving clients, dependent on reliable transport, into the arms of trucking companies. As a result, DB Cargo’s revenues went down by €100 m, from the €4.8 b reached in 2014 to €4.7 b generated last financial year. A third reason why DB needs new capital in their coffers is the huge cost for modernizing the rail infrastructure. This adds up to sums surpassing double-digit billions of Euros. The cash is desperately needed to repair and modernize the network, which has been severely neglected in the past and applies equally to the stations as well as the technology. At the same time investments are needed to provide passengers WiFi access in DB’s pièce de résistance the ICE. Only some of the high speed trains allow internet use, so far. By selling off up to 45 percent of Arriva and Schenker, Deutsche Bahn managers expect to generate a cash influx of roughly €4.5 billion. It’s a big chunk of cash but it won’t be enough to eliminate all the deficiencies that need to be addressed in order to reduce the rail company’s debt and improve DB’s credit-worthiness. Most pressing are the urgent steps to reduce the company’s troubling level of debt, which according to internal calculations will increase to €22.4 billion by 2022 if the management doesn’t execute effective countermeasures. In view of this bleak financial outlook, DB Chief Herr Grube and his leadership team have little choice to raise additional equity other than to partially sell their most valuable assets (Schenker and Arriva). This could be done through an IPO or by attracting a private-capital investor. The Supervisory Board took both options into consideration when deciding in favor of divesting a large portion of the shares of DB’s most successful subsidiaries. 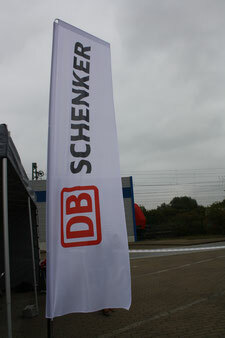 However, one thing is certain: Deutsche Bahn AG will remain a majority stakeholder of both Schenker and Arriva. In 2015, the employees (66,300) of DB’s logistics subsidiary (100%) Schenker generated a turnover of €15.5 b, up €500 m from 2014. Air freight exports reached 1.128 million tons, with 1,942 TEU transported by ocean freight through Schenker. The London-based railway company Arriva turned over €4.8 b last year, an increase of €400 m from 2014.